is this a bug..? or do i have to complete the mortar requirement first....??? It is bugged, I had the same issue, get the mortars first then the gun kills and it worked for me. 60 plus minute frontline games hopefully will make getting the 15 kills in a round a bit less hectic. Anyone unlocked the gun after these requirements? Does it behave differently than the other 'cowshat' or is the scope the only difference? 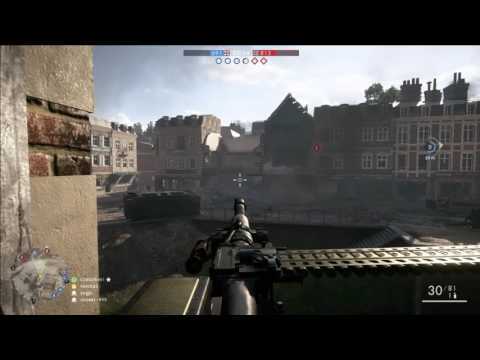 @Prep768 Just done mine and it wasn't as easy as i thought.Did the mortars the other day when we were spawn locked on Fort De Vaux easiest amount of kills to get. Is it any good? As you know I love my mercie buckets. @Prep768 here is a link to show you how bad it is lol. LMAO i feel ya i feel ya.. Gun looks fine to me ... was your aim that was terrible.